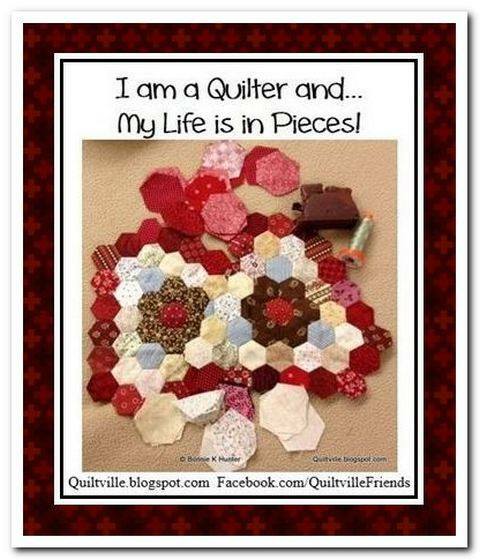 I am a Quilter ~~ So much of my life is lived piece by piece. Quilting as in life is very much a piecing together of parts. Some easy stitching with straight seams and at other times a careful matching of corners and curves. The seam ripper allowing us to repair stitching mistakes as in living we also have to take a step back and evaluate our next step.... Some unexciting repetitive stitching is necessary and at other times we forge forward to new exciting adventures (possibly with trepidation which would happen if I ever attempted the Hexies above). But when the pieces come together the finished quilt is lovely. Some Pieces of my current life in fabric. Always room for more piecing dreams. Need was not even a consideration when I spotted these FQ's at Atlantic Fabrics this morning. Oh I love those last fabrics, they are so pretty! Lots of lovely projects on the go Frances ! 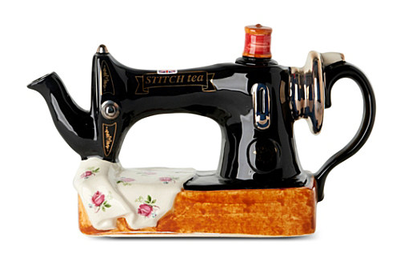 I'll have to stop in Atlantic soon , those fabrics are very pretty .